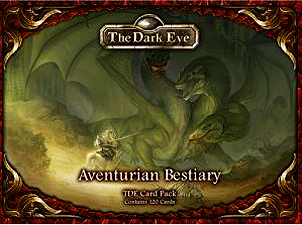 This useful GM reference set contains cards for all monsters and foes presented in the Adventurian Bestiary, the Core Rules, and the Aventuria Almanac. Each creature card places all relevant game stats at your fingertips so you can spend more time playing the game. Additional cards cover advantages disadvantages, and special abilities. Adventure awaits!